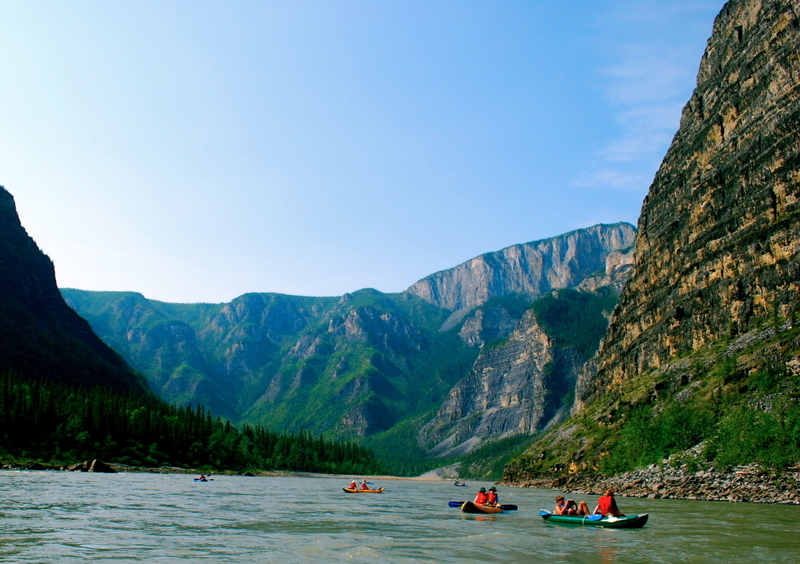 The Nahanni, a wilderness river of international recognition, is viewed by many as Canada’s classic river trip. Its global significance and raw beauty has resulted in Nahanni being the first World Heritage Site honoured by UNESCO back in 1979. 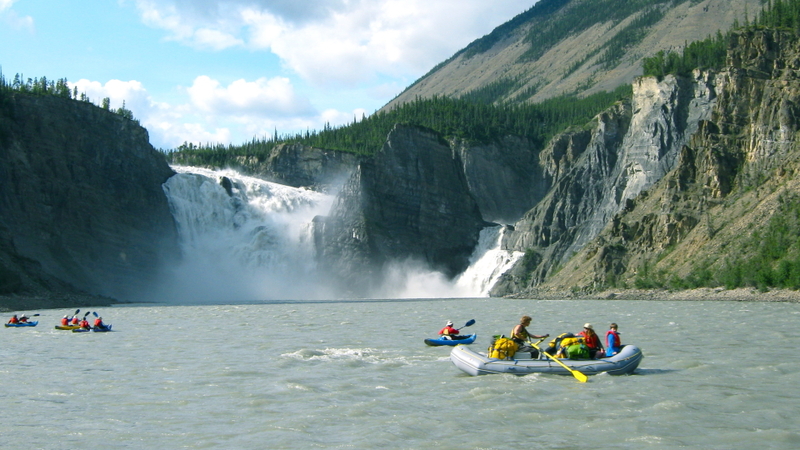 Our journey on the Nahanni begins at the base of Virginia Falls. This magnificent cataract drops over 90m or twice the height of Niagara Falls. 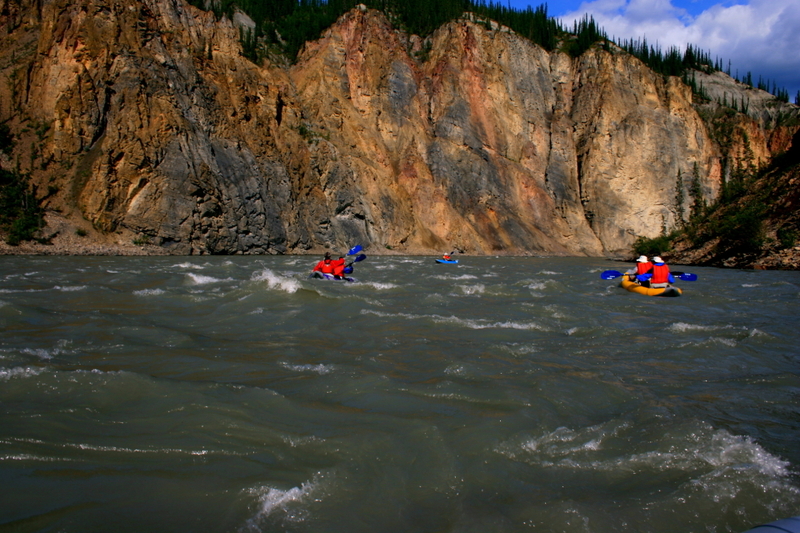 As we descend the Nahanni River, its tempo increases. A series of canyons, with some walls towering 1200m, offer unimaginable views, photo opportunities, and memories to last a lifetime. Locales, such as the Funeral and Headless Ranges in Deadmen’s Valley, have given rise to some of the north’s best myths and legends. 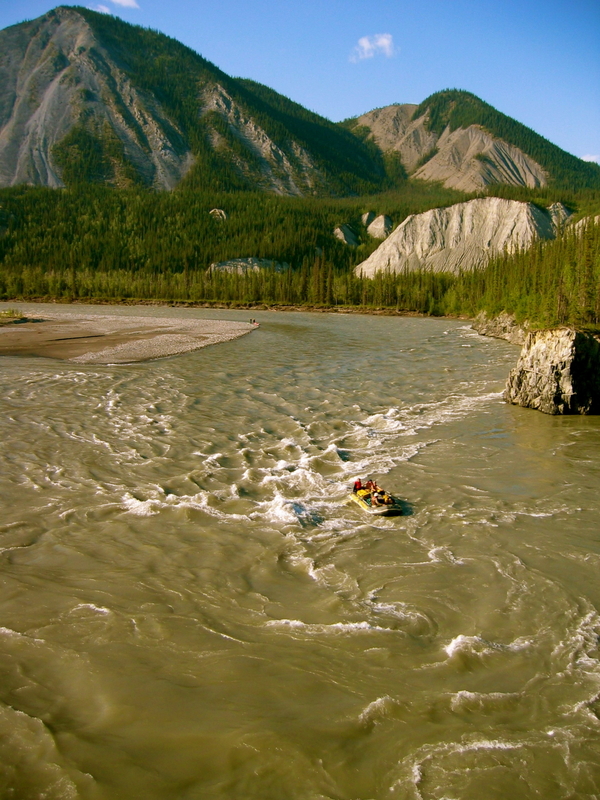 And just when you think that there couldn’t be more that the Nahanni can offer, we will stop for a soak in the soothing 32°C waters of Kraus’ Hot Spring. 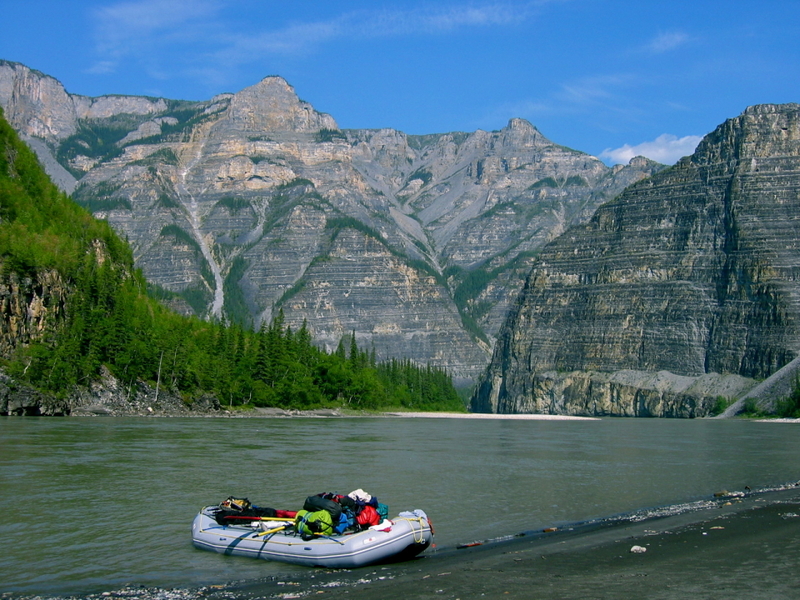 Where the Nahanni meets the Liard River, it begins to slow as it meanders through a maze of gravel bars and islands. 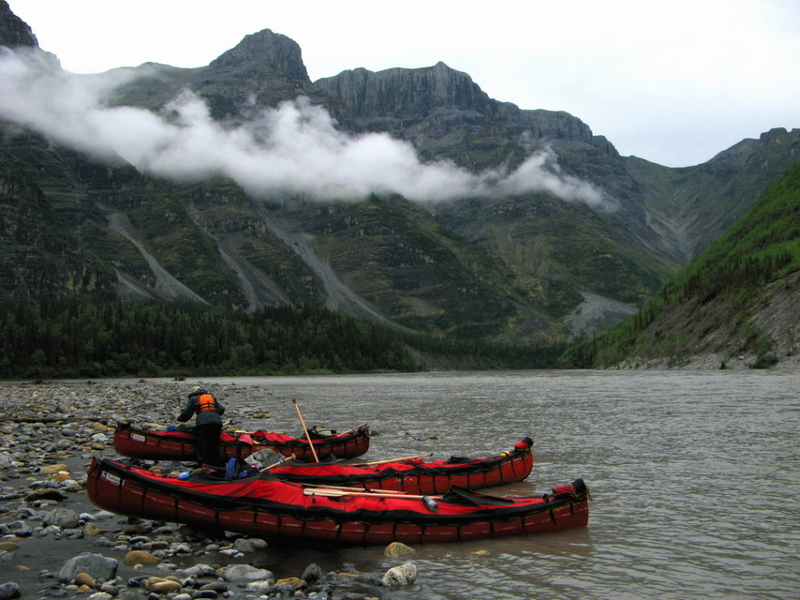 We will stop at Nahanni Butte for a tour of the historic native village located there, before ending our tour at Lindberg Landing. 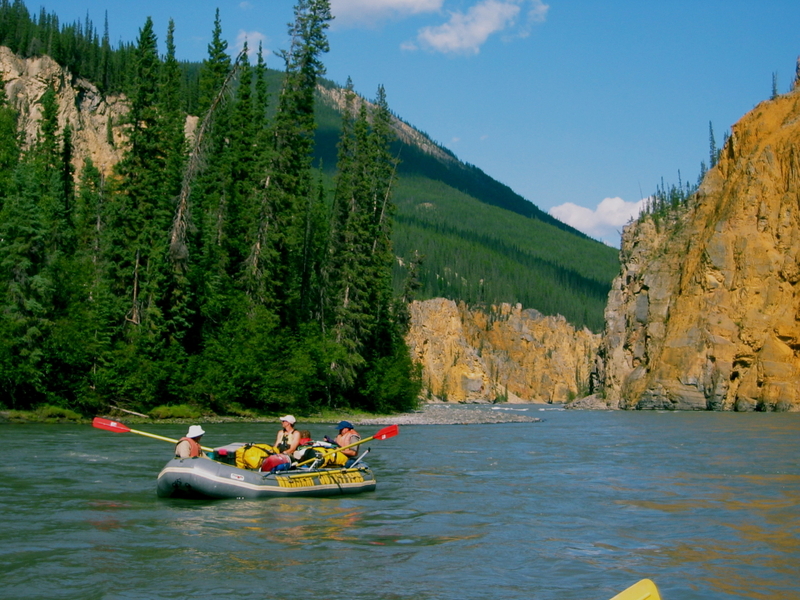 The Nahanni offers great opportunities to observe wildlife as we navigate its corridor. 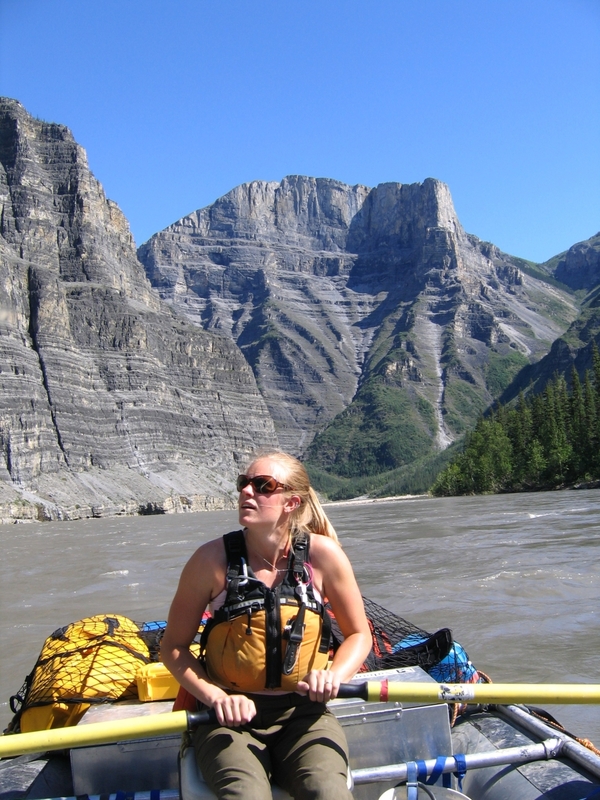 Nahanni is home to Dall sheep, caribou, moose, bears, bald eagles and trumpeter swans. A complete itinerary along with maps, clothing and equipment list, will be issued upon registration. 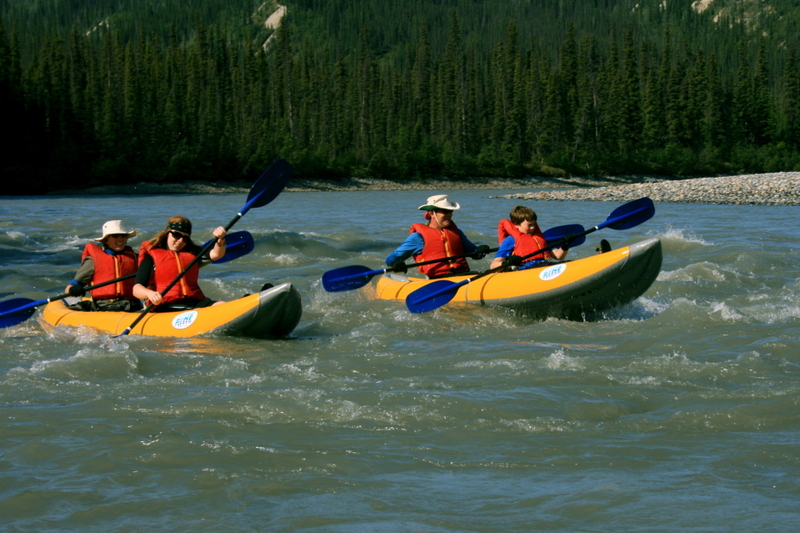 Included: Rafts, canoes, paddles, PFDs [life jacket], dry bags, wetsuits for canoeists, river boat shuttle from Nahanni Butte to Blackstone Landing, accommodation in Blackstone Landing at B&B, charter flight to Virginia Falls, camping fees, cooking gear, camp stoves, tents, meal preparations, meals/snacks/beverages on the expedition, tarps, major first aid supplies, emergency radio or satellite phone, and professional guides. Excluded: Air or road transportation to and from Fort Simpson, hotel accommodations or restaurant meals in Fort Simpson or Fort Nelson, emergency evacuation or delays, return road transportation to Fort Nelson from Blackstone Landing on Day 1, gratuities, and personal equipment. Meals: We will look after all meals while on the river. Our trip menu is well rounded, hearty and satisfying. 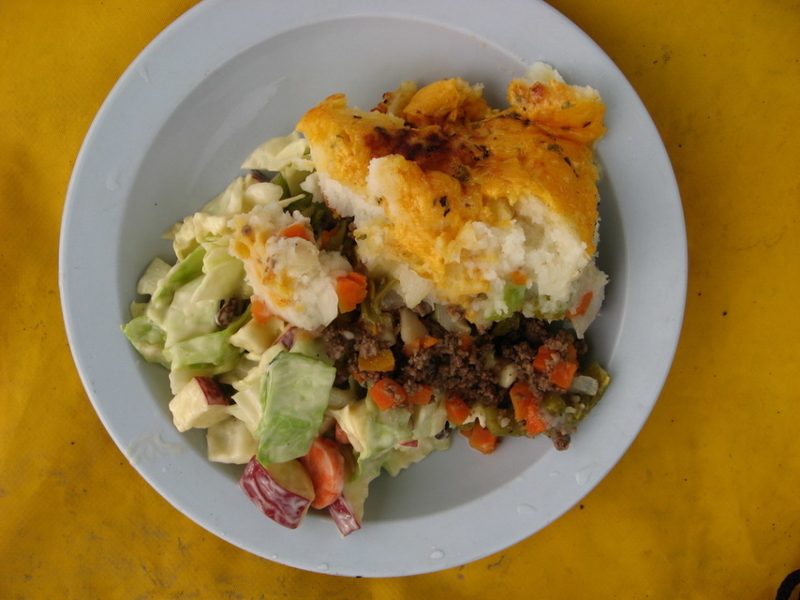 The meals served and the time required to prepare them fit well into our daily routines. The fire and kitchen area usually become the social area for each campsite. We cook over wood fires with a pan and fire box and with propane stoves. We brings roll-o-tables and a stool for each person on the trip. Beer, wine and some liquors are supplied for a few of the meals. 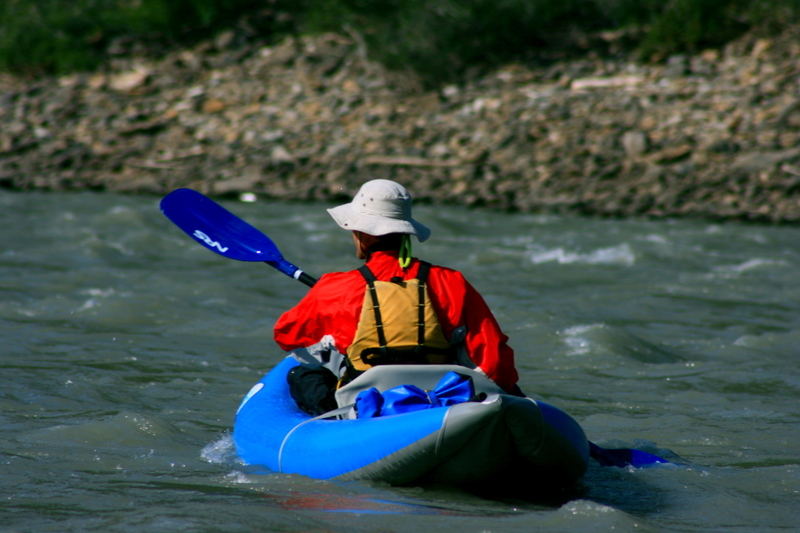 Our food is prepackaged meal by meal in plastic bags and then packed into canoe barrels, aluminum raft boxes and coolers. There is a significant amount of fresh food provided, especially for the first week. This allows us to provide some fresh meats, cheeses, lots of salads, vegetables and fruit. We baking with Dutch ovens for mail courses and desserts. Day 1: Participants need to arrive in Fort Simpson with First Air or before 12 noon with their own vehicle. Your guide will hold a pre-trip meeting and issue equipment. Personal clothing and bags not required for the trip can be left behind in Fort Simpson. These will be waiting for you at Lindberg Bed and Breakfast upon completion of your trip. Charter flight to Virginia Falls. 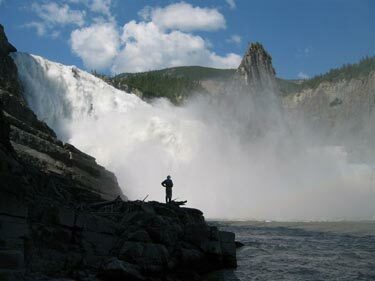 (weather permitting) This breathtaking flight takes us over the Nahanni Range and canyons to Virginia Falls. We will camp at the falls the first night and will have time to explore and take photographs from the many promontories overlooking the falls. Day 2: After breakfast your guides will complete the portage of camp equipment. Participants are asked to portage their own pack 2 km to the “put in” below the falls. Most of this portage is on a board walk and downhill. Lunch is served on the cobble beach below the falls. Following a safety talk, we load the rafts and begin our descent. Leaving the roar of the falls behind us, we will ride high on the waves through the Painted Canyon. 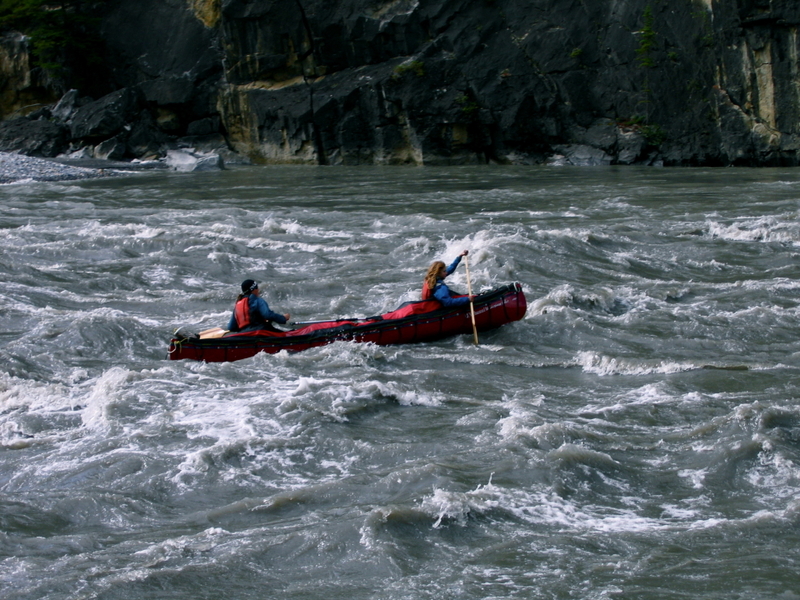 The excitement continues with our passage through Figure Eight Rapids. We will find our camp close to the mouth of the Flat River. 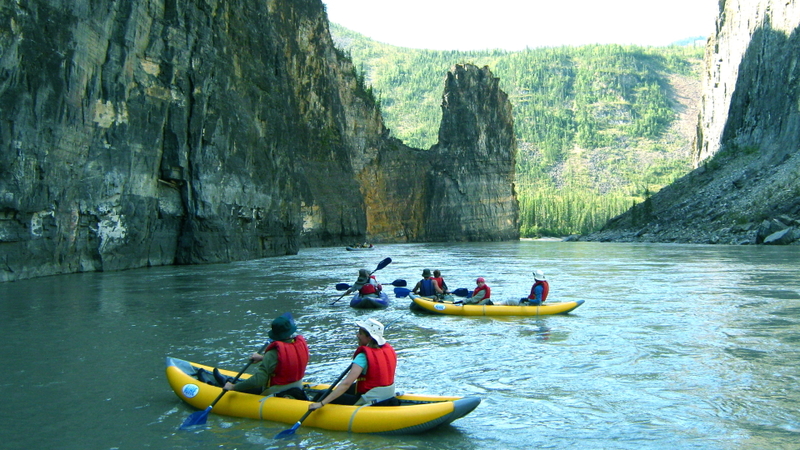 Day 3-6: We will canoe/float through the various canyons with high stone walls, open valleys, and scenic landscape that the Nahanni River has to offer. We will take short hikes to lookouts that present incredible scenic vistas. There will also be an opportunity to soak in the waters of Kraus’ Hotsprings. Day 7: Following breakfast, we will continue on to Native village of Nahanni Butte. After a short visit we will continue downstream to Blackstone Landing. Day 8: After breakfast we will begin the trip home, either with the shuttle van to Fort Nelson or Fort Simpson depending on your pre-trip arrangements, or with your own transportation if you drove your own vehicle.